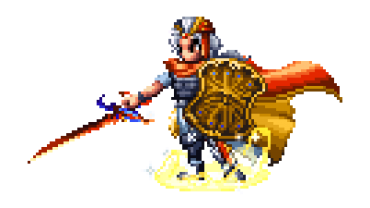 When Arc came to FFBE he swindled Rydia out of her Blizzaga, Krille out of her Thundaga, and Vivi out of (its?) Firaga and Dual Black Magic put them all on himself and said, “I still want my ability slots open so I’ll just be a 5-Star unit.” True story. Arc brings Dual Black Magic (Use black magic twice in one turn), Death (Instant KO (30%) to one enemy), and the elemental trio of Blizzaga, Firaga, and Thundaga. Add in an Osmose (Magic damage (0.3x) with MP drain (30%) to one enemy) and Arc is a top-tier mage. Omnirod (Statistics – Type: Weapon (Rod), Stats: ATK+20, MAG+91) is the best caster weapon in the game right now, it’s +19MAG over the recently released Wizard Rod (ATK+18, MAG+72) and that’s a solid gap that won’t be bridged anytime soon. Kind Heart (Base: Heal (400 HP, 9x) over 3 turns and increase MAG (40%) for 3 turns to all allies – Max: Heal (400 HP, 9.95x) over 3 turns and increase MAG (59%) for 3 turns to all allies). It has heals and it has a +MAG effect. Both are decent alone, both are much better together. Natural Dual Black Magic on a unit that can cast any black magic ability in the game and natively has access to Blizzaga, Thundaga, and Firaga? Sign me up please! Oh, and his TMR is the best weapon he could use as well? Arc brought his A game to the table, your move Kefka. Verdict: Top-tier mage until some 6-Star ones get introduced. Arc is King of the Casters for now, but it’s a title that may not last long. Still, he’s the best 5-Star caster right now, and is easily obtainable at his 3-Star form. Also has an end game TMR you must farm. Arc is neutral to all elements and status ailments. Arc can equip 2 weapons and 4 armors. A young boy hailing from another world where tales are passed down of the Crystals and the Warriors of Light. Arc set off on a journey as one of the chosen Warriors of Light to save the world along with his friends. Though an avid book reader and a gentle soul, his low self-esteem always made him feel wanting. When he and his friends visited Saronia as part of their journey, they met the exiled Prince Alus, whom Arc helped to gain confidence. This, of course, changed Arc himself as well, helping him grow into the person he was meant to be. Arc is #1 magic damage in recently updated global unit rankings. How can he be only A- ? Should be S or S+ !